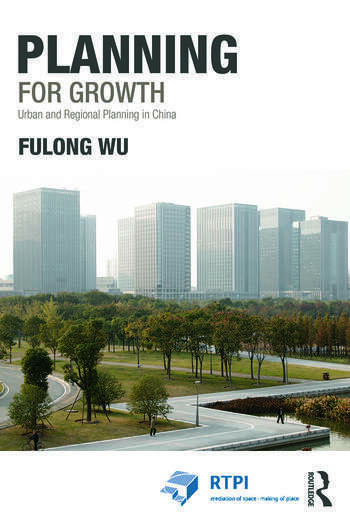 Planning for Growth: Urban and Regional Planning in China provides an overview of the changes in China’s planning system, policy, and practices using concrete examples and informative details in language that is accessible enough for the undergraduate but thoroughly grounded in a wealth of research and academic experience to support academics. It is the first accessible text on changing urban and regional planning in China under the process of transition from a centrally planned socialist economy to an emerging market in the world. Fulong Wu, a leading authority on Chinese cities and urban and regional planning, sets up the historical framework of planning in China including its foundation based on the proactive approach to economic growth, the new forms of planning, such as the ‘strategic spatial plan’ and ‘urban cluster plans’, that have emerged and stimulated rapid urban expansion and transformed compact Chinese cities into dispersed metropolises. And goes on to explain the new planning practices that began to pay attention to eco-cities, new towns and new development areas. Planning for Growth: Urban and Regional Planning in China demonstrates that planning is not necessarily an ‘enemy of growth’ and plays an important role in Chinese urbanization and economic growth. On the other hand, it also shows planning’s limitations in achieving a more sustainable and just urban future. Fulong Wu is Bartlett Professor of Planning at University College London. His research includes China’s urban development and planning and its social and sustainable challenges. He is co-editor of Restructuring the Chinese City (Routledge, 2005), Marginalization in China (Palgrave Macmillan, 2010), International Perspectives on Suburbanization (Palgrave Macmillan, 2011), and Rural Migrants in Urban China (Routledge, 2013), editor of Globalization and the Chinese City (Routledge, 2006), China’s Emerging Cities (Routledge, 2007), and co-author of Urban Development in Post-Reform China: State, Market, and Space (Routledge, 2007), and China’s Urban Poverty (Edward Elgar, 2010).